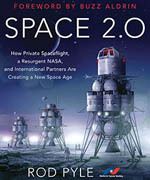 Astrobiology, the subject of this interesting and readable book, is defined as the study of life in space. Impey takes us back to when mankind thought that Earth was the center of the universe and that life was created by spontaneous generation. We have come a long way since then. One of the central themes of this book is the battle of the protein. Proteins are the basis of life, and astrobiology seeks to find proteins throughout the solar system and the universe wherever possible. The chances of life existing elsewhere in the universe seems to be increased with the widespread finding of organic molecules in space, in spite of the incredible violence inherent in the physical universe. In our scientific effort to understand how life began on Earth, the 1953 Miller-Urey experiment is a good beginning. This experiment put methane, ammonia and hydrogen in a flask and then introduced an electrical discharge through this mixture. This resulted in the creation of amino acids, the building blocks of proteins. The book reports on the experiments that are being conducted now in trying to duplicate how the polymerization of amino acids could have occurred naturally, and how such polymers could in turn have been synthesized into DNA and life. The book states that “all modern organisms carry their genetic information in nucleic acids — RNA and DNA.” In one experiment using extreme environments, one scientist has “expanded the envelope of life processes by creating new kinds of catalytic RNA … in the lab.” We are closing in on the creation of life in the lab from inorganic substances. There is an incredible proliferation and variety of life on Earth. Some of the hardiest life forms, the extremophiles, can survive extreme heat and cold, live deep in rocks, and thrive in pure acid. The almost unbelievable range of environments where microorganisms can maintain themselves could be the key to understanding living beings throughout the universe. The fact that life can exist in unusual and extreme environments should lead us to the conclusion that life might be able to originate almost on any planet. So far we have found life only on one planet, ours. Even though life may originate on many planets, will those elementary bits of life ever evolve into intelligent and communicating beings? This question is one of the basic questions discussed in this book. Mars was most probably wet and temperate billions of years ago and could have had the right combination of elements that spontaneously produce life. We have sent probes to Mars in search of clues for living things, but that search has produced no absolute proof that life formed there. 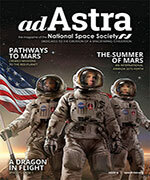 Impey writes about astronomers searching for planets around other stars. What had started out with an insignificant few, has turned into a flood of planets outside the solar system (exoplanets). It seems that in star formation, planets can be a normal outcome. With the existence of a myriad of planets with all kinds of environments, it seems that life should be a common occurrence. There is a section on the Drake equation, which is meant to calculate the number of communicating civilizations in the universe. A number of the factors in the equation demand an intelligent guess, which means that the final number is suspect. Impey estimates that there are 25 million habitable worlds in the Milky Way. Still we are intrigued by the Fermi Question. When Fermi asked, “Where are they?” he referred to aliens. In our search for intelligent signals from other worlds, we have found none. Impey gives us a compelling argument to intensify our search. Christ Impey is University Distinguished Professor at the University of Arizona and deputy head of the astronomy department. He has had fourteen projects approved for observations with the Hubble Space Telescope. 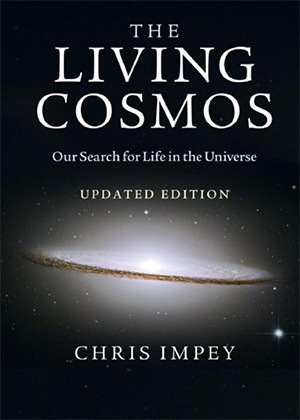 He is co-author of Astronomy: The Cosmic Journey and The Universe Revealed. He is the vice president of the American Astronomical Society. Astrobiology is young. We can’t yet tell the full story of life on Earth, exploration of the Solar System is in its early phase, and we’ve not yet scratched the surface of habitable planets beyond. In time, we may find out if we’re special or just a footnote in the busy biological history … of the Milky Way.… [We are] scared of our mortality, we toss messages into the vast ocean of space and wonder if we’re alone. The best we can do is create meaning with each breath, each original thought, each act of compassion or love. There is bliss in our science and our art — we must treasure both. This is a book about a science that is changing our view of the universe and about what life really means and where it might exist. Impey provides us with a road map to the future of astrobiology, a map that is meant to lead us into a deeper understanding of life and man’s station in the universe. The goal is to answer the Fermi question. There is no stopping the search.